Everybody knows a tan is the best fashion accessory...even country music stars! 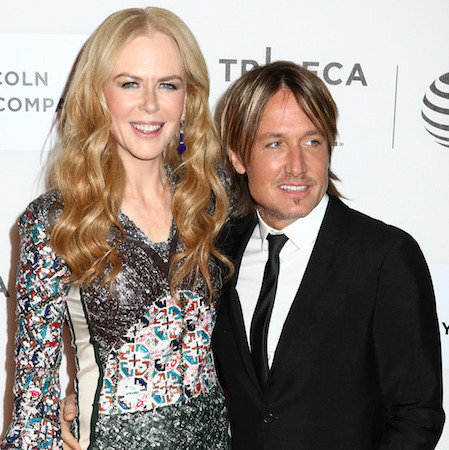 Prior to attending the Oscar Awards with wife and Best Supporting Actress nominee Nicole Kidman, Keith Urban was spotted heading to the tanning salon to get ready for the big event Sunday. Celebrity news site JustJared.com shared the news, saying "While most stars don’t leave their tanning for the morning of the show, we know Keith is going to look great. We can’t wait to see Keith‘s bronzed glow on the red carpet!" It's hard to tell whether he got a last-minute spray tan or just topped off his natural glow, but wither way, Keith was definitely rocking a spectacular tan on the red carpet! Click here for photos from JustJared.com.